We can usually squeeze in anywhere however we do ask for a minimum space of around 4 x 3 metres where possible. This gives us a little more space to give you a more dynamic performance. We’ve played on every stage imaginable from huge festival stages to being squeezed into the corner of a pub. In our experience it’s better to start the live music a little way into the evening this allows guests to catch up and have a few drinks before the party starts! We suggest something along these lines. We’re happy for you to choose the songs you like (or not) from our repertoire available on our website. However we have years of experience of creating a right dynamics for a live event so we usually suggest you leave the order we play the songs to us. It’ll also be a pleasant surprise when we start up your favourite song! We’re happy to travel anywhere worldwide to perform for our clients, we’ve so far been as far as Russia and even the USA. We are however based in London so please get in touch with our Alive Network agent to discuss any events more than three hours from London. Due to the nature of our work, nearly all of our performances are for private clients. But on the odd occasion we do perform to the general public, so if you’re keen to see us give us an email and we can let you know if we’re playing in your area. In the meantime put your mind at rest by looking through our testimonials. We are able to take special requests, however we do ask for these as far in advance as possible (two weeks minimum) in order to let them sink in before the big night. It’s important to think about your first dance as early as possible and decide if you’d like us to play it live or have the original artist on CD playback. Yes!! We’re very confident we can deliver our recorded sound and energy live. You can find how to get in touch with us through the ‘contact’ section, or contact on 0845 108 5500 Alive Network and quote ‘Radar’. For our standard package we will have a ready made playlist running before and in between our sets. For an upgrade one of our band members will man the system at all times and take live requests (please note for this we’ll need a good wifi connection). We absolutely recommend that you choose the soundtrack to your night. If you or a friend has Spotify you can create your own complete playlist and send it to us before the event. Then we can run it through our system. Alternatively we’re happy to use your laptop or ipod to play your favourites. Depending on set up times and the layout of the venue we can sometimes provide sound for your speeches. Although we highly recommend hiring an additional ‘wireless’ microphone for ease and clarity during the speeches. Please get in touch to discuss the options further. We have a full professional sound system our loudspeakers are made by Mackie and have 300W of power, with a modern Behringer XR18 digital desk, for larger venues we also use 500W turbo-sound subwoofers for driving bass! We use Audix vocal microphones for killer rock vocals including OM5s and OM7s. We also use great instruments and amplification from companies including Gibson, Fender, Vox, Ampeg, Pearl, Zildjian to ensure the highest sound quality. We do have a small lighting rig, of 2x 4LED Parcans which lights the band and a little of the audience. If you’d like a full room of lights we can discuss upgrading your lighting package. We play for two hours in total, 2 x 1 hour sets with a break in between. However we can be flexible with this if you’d prefer 3x 40 minute sets. We can also provide many more musical options for you if you’d like for example: an acoustic set during the day time, or even a special song during the service. We usually arrive around 5pm and finish no later than 12am. If you need an early set up or late finish please get in touch to discuss the options. Ideally, we like to have one and a half hours to set up and sound check properly although each venue and event is different. Sometimes we will set up in the main room before any guests arrive, other times we can set up in a separate room. If the load in is particularly difficult ie. lots of stairs and far away from our vehicles it may take us slightly longer. During the peak season (May – September) we are often having to turn clients away so get in and confirm your booking with us quick! 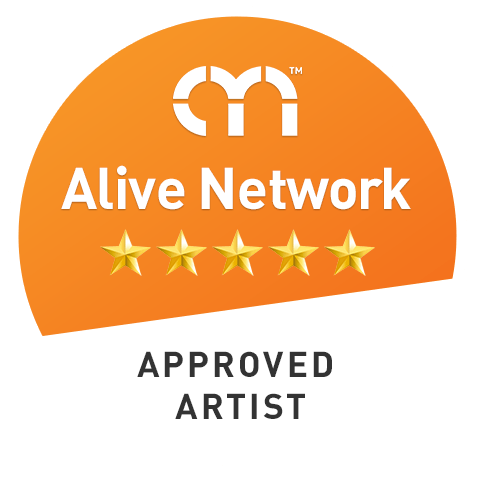 We’ve all been professional musicians for over eight years and have never had to cancel a performance however if for any emergency reason we were unable to make the show we would work alongside Alive Network to help you find a suitable replacement. If you have a musician or singer in your circle of friends or family please let us know at least two weeks in advance so we can make arrangements for get them up on stage with us. For the safety of everyone and our equipment we don’t allow surprise guests up on the stage. Even though we’re a rock n’ roll band we tend to dress the smarter end of smart/casual for your event. All our equipment is PAT tested and we have up to £10M Public Liability Insurance. Why should I book Radar? Having played to thousands of happy customers worldwide we are very confident that we can provide the absolute pinnacle of indie/rock entertainment for your event. In booking Radar, you are booking four, individually talented musicians at the top of their fields. Our energy and enthusiasm is only coupled by our professionalism and we can’t wait to show you what we can do. From Guns N Roses, to Kings Of Leon, The Beatles to Ed Sheeran we have something for every one of your guests to enjoy and give your event the ‘cool’ rock and roll edge it deserves. Our price range starts from £1179 for our basic package this will vary depending on the distance of the venue (from London) or any additional services you require ie. DJ service, extra lighting, acoustic performance, sound for speeches etc. Absolutely, please have a look on our website to find testimonials from many of our happy clients. Do Radar have any specific requirements? We ask to have a separate room wherever possible for us to get changed and store our cases. We also ask for a meal and drinks to be provided for the evening. What type/size venues are you able to play at? We can cater for any venue at all, from huge outdoor events to intimate club type venues. On performances where there are 500+ guests we may need to hire an extra sound equipment and an engineer. We are a rock band, and the nature of the music means we have to play at a reasonable level but we’ll make sure the audience are able to talk to one another whilst not up dancing. It’s very important to check with the venue and let us know if there is a sound limiter in advance as this can be a nasty surprise on arrival! We ask for three or four 13A sockets in order to run our audio and lighting separately and efficiently. Does Radar offer any additional services? We can provide a number of extras for your event, including acoustic performances (during daytime/dinner), ceremony music, microphone hire, additional lighting etc. Please let us know about any special requests you may have and we’ll do everything we can to provide it for you.